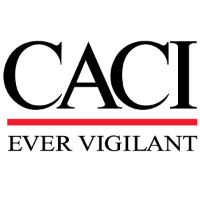 Team CACI has an exciting and challenging opportunity available for a Network Security Engineer supporting an Intelligence Community customer’s wide-area (WAN), local-area (LAN) and campus-area (CAN) networks across multiple security domains. Ensure the overall health and strong security posture of complex network architectures. The Network Security Engineer will be actively involved with all phases of security design, implementation, proactive monitoring, troubleshooting and analysis of firewalls, IDSs, VPNs, security controls and policies. Develops system specifications, architecture designs, integration and test plans, and all relevant documentation. Develops security assessment and mitigation strategies. Maintain compliance with DOD Information Assurance requirements as well as ensuring service performance indicators are met or exceeded. Work with both corporate and customer leadership to research, analyze, and implement enterprise-wide network security solutions/capabilities/enhancements to support customer business/mission goals and objectives. Assists with designs, analyses, tests and implementation of state-of-the-art secure network architectures. Conducts risk assessment and provides recommendations for design. Manage WAN, LAN, CAN, and remote network security as well as incident and problem management. Oversee security infrastructure sustainment, maintenance, and advanced configuration. (firewalls, web gateways, mail gateways, IDS, intrusion detection systems, and management tools. Oversee the reporting, documentation and investigation of all security related incidents; lead the development and implementation of corrective measures. Responsible for staffing of network security personnel that will be performing an array of information security tasks for a 24/7 service that revolves around mission requirements. Responsible for development and execution of standard operating procedures for security tools. Create and maintain System Security Authorization Agreement (SSAA) documentation, creates and maintains Plan of Action and Milestones for each system. Evaluate and report on new network Security technologies to enhance capabilities of the network. Act as liaison to the contract and customer management, and government Designated Approving Authority (DAA) with regard to all network security status, policies, and procedures. DOD 8570 IAT Level III certification. Experience with Netscreen Firewall, Sidewinder Firewall, McAfee Web/Email Gateway, Netscout, Blue Coat or Cisco ASA, IPS/IDS. Experience with plans, designs, and evaluations of security systems and architectures.